In an era of media distortion, our emphasis has been on the “unspoken truth”. As an independent site, it is our mandate to challenge the engineered truth by the corporate media. The selected articles below reveal media omission pertaining to US war crimes across the globe. Help us by forwarding our articles far and wide and subscribing to our newsletter. U.S. Africa Command has conducted fourteen airstrikes since August bringing the year’s total to eighteen. The increased tempo of airstrikes started in September between the Kismayo and Mogadisu region. Although the US has many times stated that its target is IS only, it appears that its intentions may go beyond the stated objective. 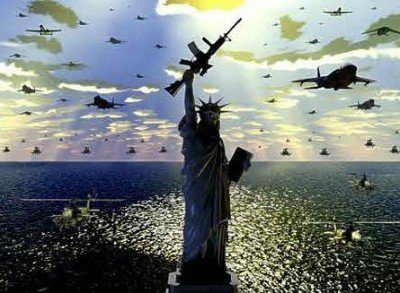 In fact, Washington is seeking to retain post-conflict zones of influence within the country, where the American presence is illegal. Claiming the right to launch preemptive wars and fighting an ill-defined “global war on terror,” the U.S. government has slaughtered vast numbers of civilians in defiance of international law, says Nicolas J S Davies. It had not happened in decades. On Tuesday, members of the US Congress gathered to consider the scope of presidential power in launching a nuclear strike. The state of the mind of the current president was very much at the forefront of the discussion, even if some present preferred not to name him specifically. These are four examples and there are many more. The manipulation of videos and images is routine. In some cases, these manipulations are revealed by readers, independent media and social media. In most cases they go undetected. And when they are revealed, the media will say “sorry” we apologize: they will then point to technical errors. “we got the wrong video”.